DIARY OF A PUBLIC SCHOOL TEACHER! : "Music to My Ears!" AND a FREE GIVEAWAY! I always begin our classroom day with music. This school year, I took advantage of Pandora, and have classical music playing as my kids came in the door. I believe it helps start their day in a calm, soothing, manner. Music has always been a huge part of my classroom. Whether it's entering the room, ending the day, or singing out loud with educational music videos. I believe music should not be relegated to the Music room. Here's the thing though, I have always had a difficult time finding music that was not only appropriate for my 5th graders, but also something they would like. So, I was happy when I was asked by Zeamu Music to try out their CD with my students. 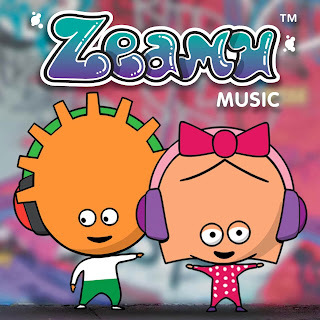 "ZEAMU MUSIC is a new record label that’s been launched specifically for children aged 4 to 11 by a collective made up of some of the music industry’s hottest producers, musicians and composers. 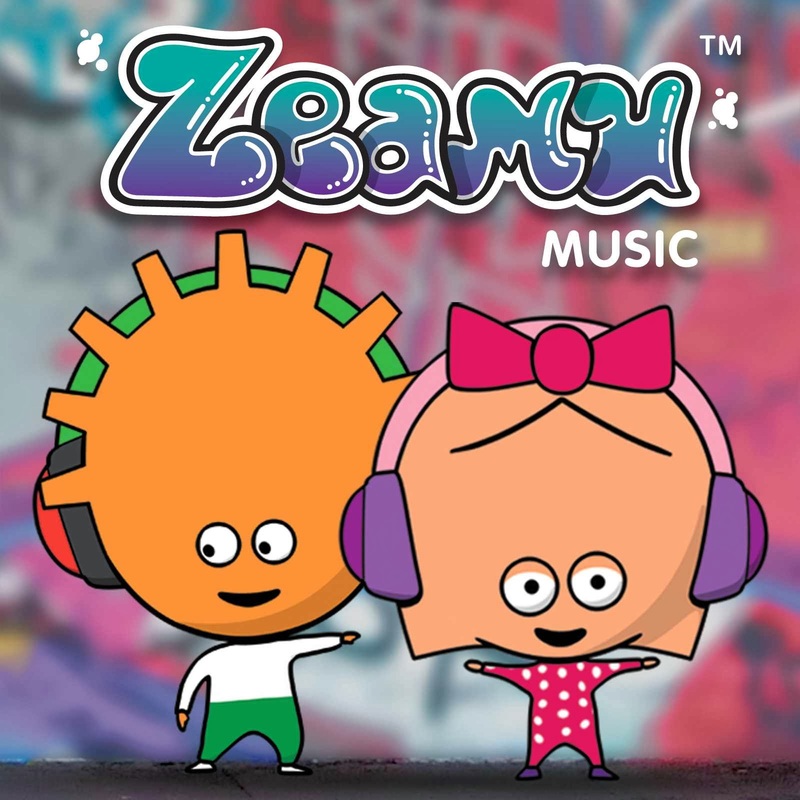 As parents themselves, the founders of Zeamu Music couldn't find any music specifically made for kids and concerned about providing music that allows parents to engage with their children without the worry of exposing them to music with adult themes." The songs are sung by kids and they are about topics that children can relate to. "Alone in the Dark", "Beat the Bullies", and "School" are just a few of the titles. It also arrived just in time for me to "steal" the new teacher's idea of transitioning with music. I love the "It's the Weekend" song! It's upbeat and gives my kids a chance to dance off some of that energy before we move onto the next activity. (See Youtube video below) They even have a site with free stuff which includes the lyrics to each song. I love using music in class, so winning would be fabulous. Recently, I was using some Mr. Parr Science videos from Youtube and my students would sing along. Some even came to class singing the song the next day or days later! As a former private music teacher, you are preaching to the choir when it comes to the value of music. Now as a step parent to a 10-year-old daughter who sings EVERYTHING, her mom and I are very concerned about the quality of choices she makes in her singing material. Like many 10-year-olds, she longs to be like the 'big kids' and of course, she has endless questions about the meaning of the 'big kid' material. I'm still a teacher - always will be at heart. The fact is, as a parent I AM one of THE Primary Teachers in my daughter's life along with her mom. So even if my current 'classroom' only has one student, this is an issue far too important to ignore. As always, kudos to you Lisa for sharing your wealth of resources and experience. This is one parent/ teacher who truly appreciates all the work you do! I use Pandora quite often too. For calm, background music, I have had good luck with the Jack Johnson station and for classical music you might like to try Ludovico Einaudi. After listening to the "It's the Weekend" song above, I know my kids would love it too! Thanks for sharing! Music is life! We have the best music teacher at our school. We are so fortunate to have Mr. Parker at Rita Drabek Elementary in Sugar Land, Texas. He does so much for our campus and our students. His music makes our school come alive. I am not musically inclined but am a music loving 2nd grade teacher. I have passed down my love of music to my daughters. We can't go a day without music! It would mean so much to incorporate this music into my class. Congratulations to Robin, Russ, and Mrs.Robinson on winning the CD! My class is part of Gulf Shores Elementary, in Gulf Shores, AL. Do you need an address?